Bearish to Bullish: Currently we are @ 1.8518 and in a 4th corrective wave. 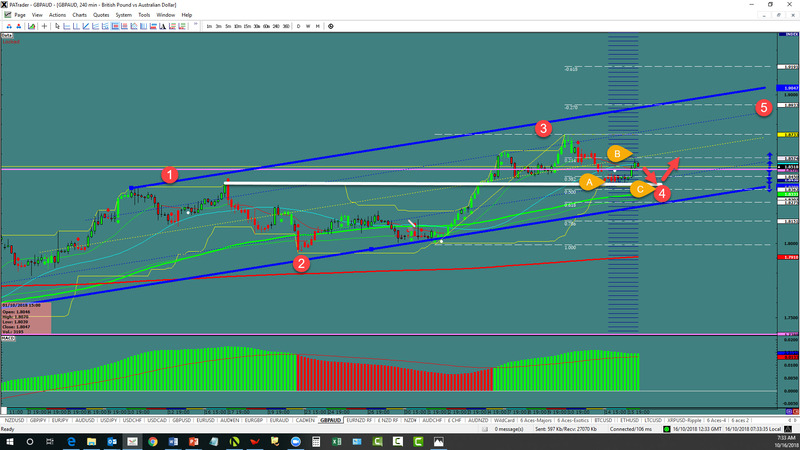 We are looking for a continuation to the 1.8370 area then a bounce for a continuation up to the 0.214 Fibo @ 1.8579. The overall target is 1.8933. The average daily true range (ATR) for the pair currently is 164 pips.